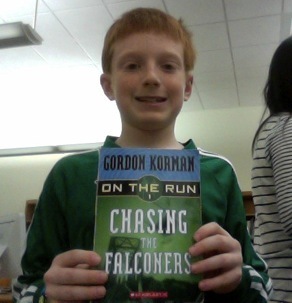 Josh recommends “Chasing the Falconers” for great adventure! My name is Josh and I’d like to tell you about a great book I’ve just read called Chasing the Falconers by Gordan Korman. Chasing the Falconers is a book about two kids on the run. They were chased to Denver were they try to free their parents. Can they free their parents before getting caught and thrown into jail? You can find this book at our school library.